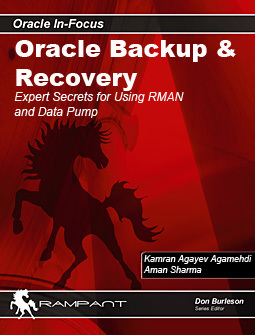 This entry was posted on Friday, August 20th, 2010 at 1:20 pm	and is filed under RMAN Backup and Recovery, Video Tutorials. You can follow any responses to this entry through the RSS 2.0 feed. You can leave a response, or trackback from your own site. Orda daxile tdiyiniz məlumatları əzbərləmisiniz? yoxsa zamanla məşğul olduqca bədahətən gəlir? Thank you Kamran, Good presentation. Note1 : 10.2.0.1 has a bug -Bug #5016125- and you cannot run convert in parallel (which can save a lot of time when doing it on large number of datafiles), it is fixed within 10.2.0.4. Note2 : you can also do the database convert without converting all the datafiles but just the datafiles containing rollback segments (undo), it also saves a lot of time (see Avoid Datafile Conversion during Transportable Database [ID 732053.1]). Eline sağlık Kamran, baya zamanını alıyordur eminim. Tutorillara gore sene yeqin yeni bashlayanlar chox teshekkur edirler. Her halda sen de yaxshi bilirsen ki, professionallar bu videoya ancaq tekrarlamaq uchun baxirlar. Onlar bilirler ki, baza gerek archivelog mode rejiminde ishlesin. Lakin yeni bashlayanlar adi halda oracleni install edende noarchivelog mode rejiminde ishleyir. Mence sen tutoriallarda bunu nece elemeyi de gostersen pis olmazdi. Hech olmasa videodan kenarda bunlari qeyd ele. Evvelki “Performing Disaster Recovery with RMAN” tutorialinda flash_recovery_area katalogunu da yaratmaq yadindan chixmishdi. Fikrimce yeni bashlayanlar uchun bunlar chox vacibdir. Bunlari ona gore yaziram ki, dostuma senin blogunu meslehet gordum ve o, tutoriallari tekrarlayanda bu suallari mene verdi. P.S. Chox sagol ki, bele tutoriallar hazirlayirsan. Maraqli tutoriallarini sebirsizlikle gozleyirem. Elbette database quranda avtomatik kataloq oui terefinden yaradilir. Hemchinin adump, bdump… kataloqlari da ele o zaman yaranir. Amma software only sechilen zamani bunlar yaranmir. Mence 2-ci virtual mashinda evvelceden baza yuklenmish ve sonradan silinmishdir. Diqqetle baxdiqda hetta $ORACLE_HOME kataloqunda evvelki admin/ kataloqu da gorunur, hansi ki, soft only rejiminde yaranmir. Elbette bunlar xirdaliqlardir, amma tutorialin chox komeyi var. P.S. Google-de axtarmaq barede duz deyirsen. 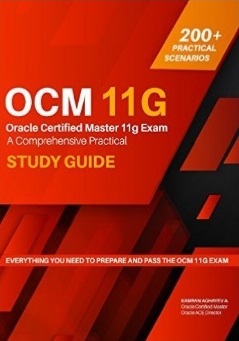 Menim de fikrimce eger kimse oracle-ni oyrenmek isteyirse melumatin serbest halda tapilmasini da oyrenmelidir. Thank you Kamran Sir for this wonderful presentation. I follow each and every steps which you demonstrate in this video. But when i execute TRANSPORT.SQL script at linux, after sometime i am getting ORA-03114 error : not connected to ORACLE.I donot understand why this happening. Can you please help me out to over come this problem? Thank you for your support.I have created a new database without OLAP.Its help me to come out from that problem.And now i am able to clone the database. Once again thanks for your help. Is it possible to Convert Windows 2008 R2 64 bit Oracle Database to RHEL 6 32 bit? Also, windows 2008 is live database i dont want to loose anything. This is third day i still can not convert. i’ve been googling and also have some paid suport contract. My Databse does not open in READ ONLY MODE. 2. now when i try to open it using STARTUP MOUNT, i get the following error. please discard my precious post…It worked great!!!! I’m converting from Windows 2008 64-bit to Linux 32 bit platform….i’m still working on it and @TRANSPORT.SQL stage, i’ll post here if i have any problem,please help if i get stuck. This is what i’m getting from last two days. * Your database has been created successfully! * 1. You may want to redefine the location of the directory objects. According the error you get (ORA-32006: BACKGROUND_DUMP_DEST) I hope you’re using 11g. Don’t you? 1. I’ve ORACLE 10g running on windows 2008 R2 (64-bit) with ERP system. 2. I want to move to RHEL6. now, i’ve built RHEL6 server (32-bit) to test. First i tried with Oracle 10g on RHEL6 didnt work, now i’m trying Oracle 11g on RHEL6. 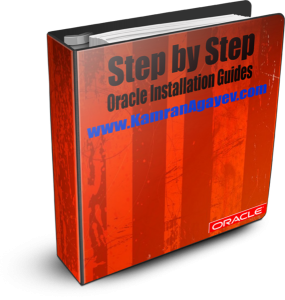 I’m good with Linux but not with Oracle, i’m following each step from your video tutorial. Again today, i re-install fresh copy of 11g on RHEL6, let me try and i’ll post the result. I’m soooooo glad today atleast Control file created……please help Kamran…here is the result. Please help!!!!!!!!!!!!. I tried all different ways to convert but I’m stuck at here and can not go further. Güzel bir video olmuş Kamran. Tebrikler. It’s not so hard to upgrade the database from 10g to 11g. You have two options: DBUA (Database Upgrade Assistant) and manual migration. I have the same problem as Ashwin Patel. I try to migrate my database from windows server 2008 r2 (Oracle version 11.1.0.6.0) to Solaris x86 (Oracle version 11.2.0.2.0). Please, help me to solve this problem. Is it possible convert database from OS that ENDIAN_FORMAT field is different from another one? 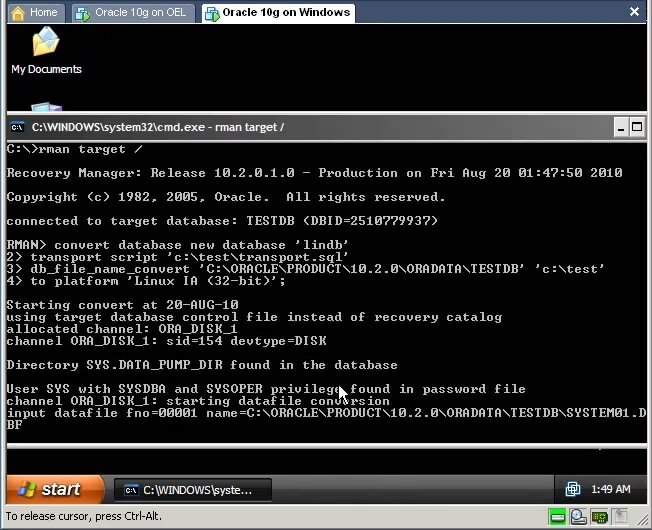 We have currently Oracle 10gR2 on windows and we need to migrate the database to RHEL with Oracle 11gR2..